These super soft and ultra fluffy microfiber car wash cloths are great for waterless car wash and quick detailing sprays. 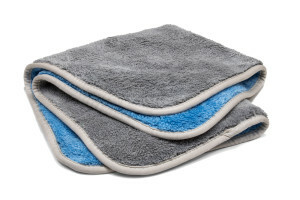 The high pile on this microfiber washcloth pulls dirt away from the surface so that it will not scratch. They are Duo Plush, meaning they are high pile double sided towels. Purchase this microfiber car wash towels in green or grey online today!